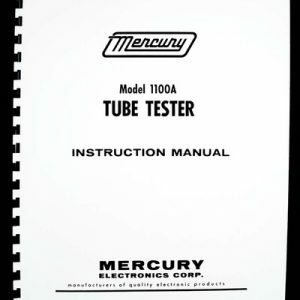 For sale is reprint of Mercury 1000 Mutual Conductance Tube tester Tube Chart. 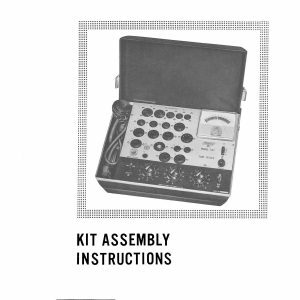 65 pages in total. 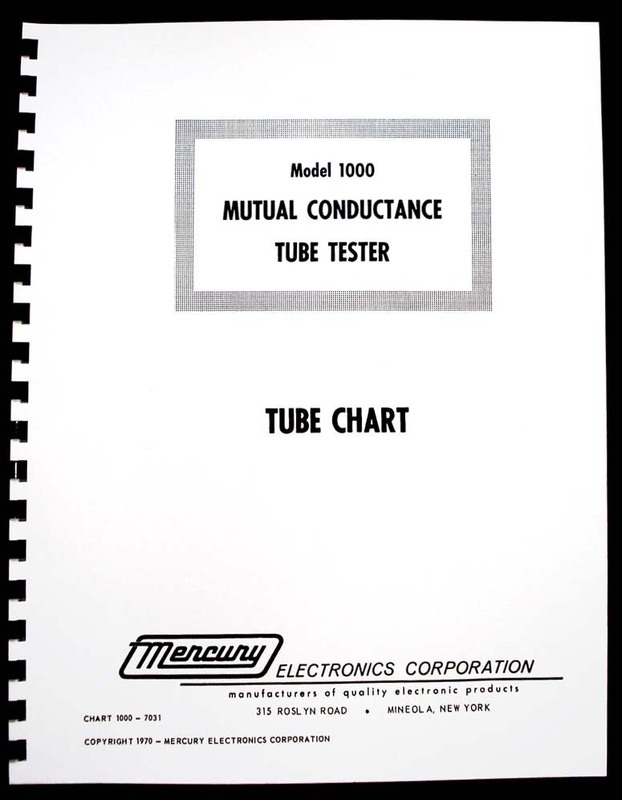 Tube chart is 54 pages long, dated July 1970. 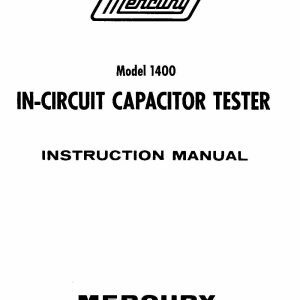 Also included is 2 page supplement dated July 1970, 2 page dated December 1970, 3 page Dated March 1971, 4 page dated July 1971. 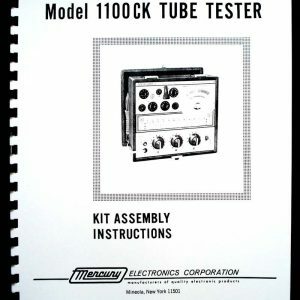 If you own Mercury 1000 tube tester and your chart is old, this book is a must.